The Musical Quiz CD is an easy-to-play game: simply listen to the first few bars of each song and then name that tune! 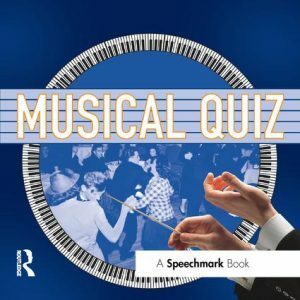 The evergreen melodies are designed to bring back memories and perhaps change the quiz session into a sing-along session. Each tune is recorded twice, one after the other allowing a second chance to guess the tune correctly. Alternatively the second tune can be used to reinforce the response if it was guessed correctly the first time.